DecisionHealth's live training events offer educational and networking opportunities for home health professionals. 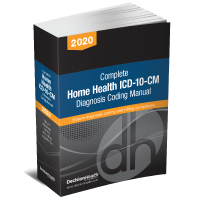 Prepare your coders, OASIS and administrative staff to meet the challenges they face daily in the ever-changing world of home health. CEUs and certification opportunities are available.